Amber Rowson is an engineering, quality assurance, and auditing professional with extensive leadership and working-level experience on safety-critical systems and vehicles. She has more than 18 years of experience most recently as a consultant providing engineering, quality assurance and program management support to NASA’s Office of Safety and Mission Assurance, NASA’s Office of the Chief Engineer, Naval Sea Systems Command (NAVSEA) – Submarine Safety and Quality Assurance Division, Woods Hole Oceanographic Institute, Oceaneering, Naval Undersea Warfare Center, and Supervisor of Shipbuilding – Newport News. Prior to working as a consultant, Amber served at NAVSEA’s Submarine Safety and Quality Assurance Division where she managed and led Deep Submergence System (DSS) vehicle certification surveys and audits and served as the on-site System Certification Authority Representative for manned testing evolutions of assigned DSSs (including onboard certification dive to 4,356 meters on Deep Submergence Vehicle ALVIN). 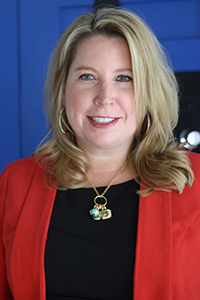 Prior to working for NAVSEA, Amber served as the PSGS Director for DSS QA, responsible for providing and managing technical support for the Submarine Rescue Diving and Recompression System (SRDRS) Program Office and NAVSEA Submarine Safety and Quality Assurance Division. She has also worked for Toyoda Gosei (TG) Corporation as a quality engineer for Toyota Camry major model change (pre-production). Provide engineering, auditing, quality assurance, training and program management support to Naval Sea Systems Command (NAVSEA) Submarine Safety (SUBSAFE) and Quality Assurance Division, Naval Undersea Warfare Center, and Supervisor of Shipbuilding Newport News; Oceaneering, and Woods Hole Oceanographic Institute. Through Dell Services (formally Perot Systems Government Services) and Honeywell, provide engineering, quality assurance, training and program management support to NASA’s Office of Safety and Mission Assurance (SMA), NASA Safety Center and Office of the Chief Engineer and serve as Subject Matter Expert for NASA’s Johnson Space Center Audit Management Office. Naval Sea Systems Command, U.S. Navy; Washington, D.C. Served as a project engineer and certification/quality assurance technical authority for the Submarine Safety and Quality Assurance Division (NAVSEA 07Q), Naval Sea Systems Command. Responsible for the management, technical control and integration of the Deep Submergence Systems (DSS) Program and Quality Assurance (QA) Requirements and related issues and act as the working level System Certification Authority (SCA) for assigned DSSs. Provided certification support for the Submarine Rescue Diving and Recompression System (SRDRS) program, managed the technical support of the SRDRS program and provided technical support for the DSS program. Also provided audit and certification survey support and technical assistance for NAVSEA DSS Functional Audits and Certification Surveys and participated in the preparation and development of 2000 and 2001 SUBSAFE Trend Analysis. Managed the revision of U.S. Navy Diving and Manned Hyperbaric Systems Safety Certification Manual and served as Assistant ISO 9000 Representative. Provided technical support and ensured quality of manufactured products for several automotive contracts, including serving as Platform Engineer for Toyota Camry major model change (pre-production). Responsible for all quality aspects, functioned as customer window for TG Missouri and interfaced with Japanese mother company. Included travel to Japan to attend new product injection-molding trials and evaluating product quality, investigation of new processes for implementation at the Missouri plant and meeting with Japanese customer for fitting trials and evaluation results. Integral member of Defect Reduction Team, which met twice daily to analyze defects caused by process and equipment failures. Preventive failure analysis of current processes were also addressed. Member of Toyota Sienna Minivan team and responsible for all quality aspects from design and performance to production of 16 interior plastic-injected automotive parts. Also responsible for tracking project status, meeting deadlines and creating/maintaining QS 9000 documentation in addition to maintaining corporate customer satisfaction by serving as customer/supplier interface and achieving problem resolution. Audit Experience – Includes Quality Assurance Team Member on NASA Quality Audits, Assessment and Reviews (QAARs); NASA Office of Safety and Mission Assurance (OSMA) Institutional Programmatic Support (IPS) Audits; NASA Intercenter Aircraft Operations Panel (IAOP) Reviews; International Standard for Business Aircraft Operations (IS-BAO) registration and Lockheed Martin’s International Space Station Work.